The upcoming "conversation" between Sen. Dianne Feinstein and state Sen. Kevin de León will be a few steps short of a traditional political debate. The U.S. Senate race has tightened, with a Public Policy Institute of California poll showing Feinstein's lead over de León has shrunk from 22 points in July to 11 points now. 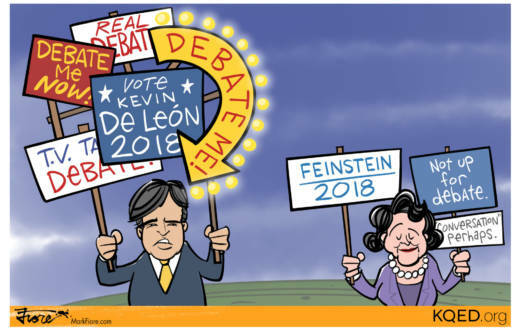 Feinstein is following the tried-and-true path of cautious candidates in the lead: Don't blow it by making a mistake in a very public debate if you can avoid it.